Fill out the form with any questions or inquiries you have for the sales consultants at Estates at Lake Pickett. You can also call or chat with us for immediate responses. Travel 4 miles. Turn Left onto Chuluota Rd/County Rd 419 N.
Less than 2 miles, turn Right onto Old Lake Pickett Rd. Estates at Lake Pickett will be on your Left. Turn Left onto Old Lake Pickett Rd. 3. Travel 10 Miles on HWY 50. Turn Right on HWY 420/Ft. Christmas Rd. Travel 4 Miles. Turn Left onto Lake Pickett Rd. Turn Right onto Old Lake Pickett Rd. Estates at Lake Pickett will be on your Right. Travel 4.8 miles. Turn Left onto Chuluota Rd/County Rd 419 N.
Turn Right On McCulloch Rd. Travel 1 mile, Turn Right onto N. Tanner Rd. Just over 2 miles, turn Left at the traffic light at Lake Pickett Rd. Turn Left onto Chuluota Rd/County Rd 419 N.
Offering oversized homesites (1/2 acre-1 acre), lake front views, a community boat ramp, and the ability to live in one of the only new home communities with access to Lake Pickett, you’ll find your dream home at Estates at Lake Pickett. This gated community in East Orlando is conveniently located near Waterford Lakes Town Center, Oviedo on the Park, Oviedo Mall, and SR 408 and SR 417 for an easy commute to Downtown or Lake Nona's Medical City. The life you want to live is waiting for you at Estates at Lake Pickett. Explore this community and see for yourself. Find the flexible space you need in the Dockside at Estates at Lake Pickett: a super owner’s suite, an optional multi-use loft, and a 3-car tandem garage. The single-story Amberwood stands out for its spacious design and storage solutions, with an open kitchen, Everyday EntryTM, and Pulte Planning Center®. From the welcoming gathering room and multiple flex areas to the oversized game room upstairs, space abounds in the new construction Mariner at Estates at Lake Pickett. The new construction Stonehaven exudes space with a large open kitchen and gathering room, an optional loft with bedroom suite, and the owner's suite on the first floor. New Construction Gardenside features open concept main floor living and dining spaces, with a large kitchen island overlooking the great room, perfect for entertaining. With a plethora of options to customize the 5,100+ sq. 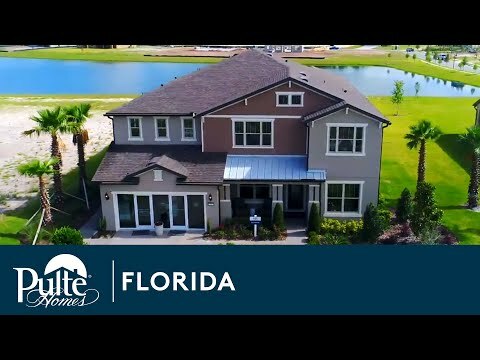 ft new construction Casabella at Estates at Lake Pickett, this home is just waiting for you and your family.